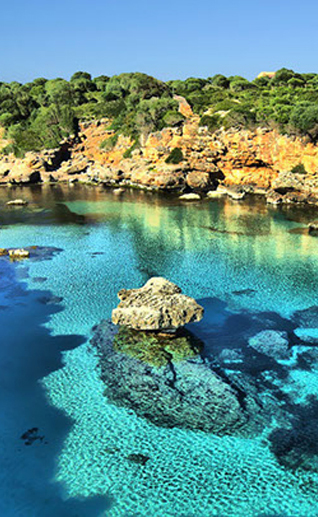 February is a truly beautiful month on Mallorca. It’s Almond Blossom season and with over four million almond trees across the island, the landscape is in full bloom with soft pink and white hues. With the days getting a little longer, this is the perfect time of year to head out into the sunshine and get your hike on. A great way to experience the blossoms in all their glory is the 9 kilometre walk from the pretty village of Es Capdella through Galatzo Estate which will take you around three hours. For those interested in more of a challenge you can carry on further to Estellencs, which will have you complete Stage 1 of Mallorca’s long distance hike, the GR221 or Dry Stone Route (this stage is 14 kilometres). Estellencs is a small village of 300 people filled with cobbled streets and terraced vineyards with some lovely spots to have a bite to eat or a well-deserved beverage. We’re getting super excited for the muymuybueno Women in Business Day coming up on 7 February. mymuybueno CEO and founder Justine Murphy will be sharing her story, plus a delicious lunch, and an afternoon covering all elements of business and so much more. Whether you’re just starting out in business, or you’ve run a business for many years, be prepared to feel inspired and empowered for the year ahead. You can purchase your ticket from mymuybueno Deli, email info@mymuybuenodeli.com or call +34 971720017. Did you know that classical music and piano stimulates the regeneration of brain cells and reduces cortisol levels? Sandra Donovan and Larrisa Richter combine music with yoga for a healing, soulful practice on Saturday 16 February from 10.30-12.30pm. Open to all levels you can register by emailing info@earthyoga.es, or sign up in person at Earth Yoga reception. Cost €40. Have you started training for the Spartan Race yet? It’s not too late! Taking place on 9 March this 5km includes 20 obstacles and is suitable for athletes of all levels. Venture through bush and forest, scale obstacles and wade through water – all in the name of fun! If you’re wanting some advice on how to tackle your training regime, get in touch with on of the many fantastic personal trainers we have on the island. You can find our favourites on The Guide. Whether you love or hate Valentines Day we think it’s a great excuse for a meal out with friends or loved ones. Temple is a gorgeous new spot for breakfast or lunch in Palma’s Santa Catalina. This urban oasis is a bright and airy vegetarian café, with a lovely range of wellbeing themed gifts and trinkets for sale in their shop area. Unwind on the picturesque patio and enjoy the delicious healthy food and drinks, then perhaps pick up a gift (for someone special or treat yourself!). Open Monday to Friday, 9am-4pm, Saturday 9am-2.30pm. Canteen 14 is a cute little café in La Lonja specialising in ‘a bowl for every soul’. Ranging from vegan and vegetarian options like the Buddha Bowl and Marrakech Bowl, they also have healthy options for the meat-eaters among us, such as the Bangkok Bowl of rich massaman curry served with brown rice. With additional daily specials and sweet treats (try the gluten free peanut cake! ), Canteen 14 is the perfect spot to grab a yummy guilt free meal. They also sell a selection of decorative items and gifts imported from Bali, perfect for your Valentine! Open Monday to Saturday, 10am-5pm.